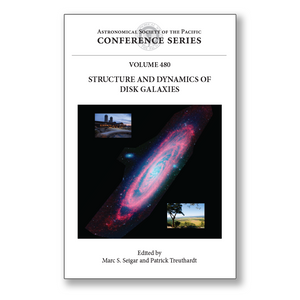 This volume contains the proceedings of the international conference on the structure and dynamics of disk galaxies organized by the University of Arkansas at Little Rock. The meeting was attended by 82 people from 11 countries. The meeting consisted of 70 talks and 10 posters. This was the first major astronomy conference held in the state of Arkansas. It took place at the Winthrop Rockefeller Institute in the scenic surroundings of Petit Jean Mountain in Arkansas. This conference focused on the formation and evolution of disk galaxies starting with a session dedicated to the Local Group and nearby galaxies. These are critical objects for our understanding of disk galaxy formation. Other sessions were devoted to the morphology of nearby galaxies, dark matter and galaxy dynamics, spiral structure, gas and star formation in disk galaxies, and secular evolution. This volume will appeal to those researchers interested in disk galaxies and extragalactic astronomy in general. It presents the latest relevant results from Spitzer, ALMA, HST, as well as several ground-based surveys.